Cliftonville exited the Europa League despite a stirring performance against Nordsjælland this evening. Ahead when Joe Gormley scored from the penalty spot – his maiden goal in Europe and the Club’s first ever against Danish opposition – the Reds held their advantage until the second-half, when Godway Donyoh levelled matters ahead of an unfortunate Jamie Harney own goal sealing victory for the hosts both on the night and on aggregate. 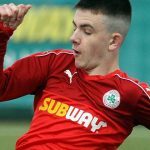 Knowing they would have to score at Right To Dream Park if they were to stand any chance of making progress, Cliftonville set about their task from the off and were rewarded on five minutes when, from Ryan Curran’s corner delivery, Garry Breen nodded the ball back across the face of goal and Curran seized upon possession, only to be chopped down by Clinton Antwi. Referee Eitan Shmuelevitz had no hesitation in pointing to the spot and, following a brief delay, Gormley stepped up to confidently blast past goalkeeper Nicolai Larsen. Mads Aaquist was denied by Brian Neeson as the hosts sought to restore their advantage and, after Nikolai Baden Frederiksen shot off target, Neeson was once again called into action to keep Ibraham Sadiq at bay. Just before the interval, however, an error from the Reds keeper provided Nordsjælland with an opportunity to draw level on the night. Neeson misjudged the bounce of a throughball and handled outside the area – a transgression for which he received a yellow card and, thanks to the 10-man wall in front of him, no further punishment. Half-time substitute Donyoh struck the bar from close range on 53 minutes and, after Gormley had attempted to catch out Larsen with an ambitious effort at the other end, it was Donyoh who restored the hosts’ aggregate advantage with a cool finish after being teed up by Aaquist. Nicklas Strunck was denied by the post when he attempted to negotiate a route through to goal and, as the contest began to open up, the Reds threatened with a Breen header that drifted wide of the mark. Andreas Olsen thought he’d put Nordsjælland in front on the night when his low drive deceived Neeson, who recovered in time to stop the ball sneaking across the line, ahead of Rory Donnelly bringing a superb fingertip save from Larsen – whose heroics went largely unnoticed thanks to the officials awarding a goal kick. Soon later, the Danes claimed the security goal that offered huge relief to home fans when Olsen’s delivery from the byline was touched in by the unfortunate Harney. 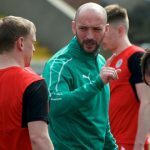 Cliftonville continued to press forward, however, with Conor McMenamin drawing Larsen into action ahead of fellow substitute Stephen Garrett going agonisingly close to claiming a last-gasp strike. 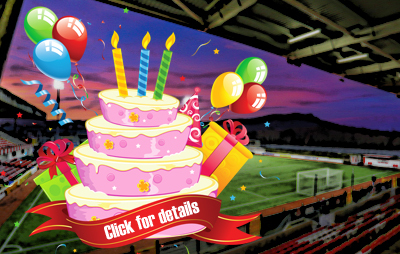 Cliftonville: Neeson, McGovern, Ives, Breen, Harney, C Curran, R Curran, R Donnelly, Bagnall, Gormley, J Donnelly. Subs: Dunne, Garrett (C Curran, 84 mins), McDonald (R Curran, 64 mins), Catney, McMenamin (J Donnelly, 73 mins), A. Donnelly, McNulty.